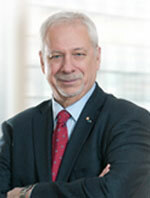 Director Pierre Marc Johnson, a former Premier of Québec, is both a physician and an attorney, as well as a public policy expert and international negotiator. He served inter alia as Minister of Health and social affairs, Minister of labour and Attorney General. 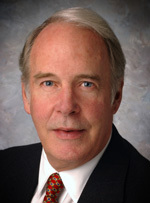 Mr. Johnson is of Counsel with the offices of Lavery in Montreal. His practice is centred on international trade negotiations in bilateral relations of Canada as well as multilateral negotiations in the UN system on environment and sustainable development. He is the author of articles and books on globalization its processes, agenda and subjects matters, and often lectures in venues gathering business, NGOs and professional associations as well as in academic and international conferences. Mr. Johnson has sat on some twenty-five boards of directors in Canada, the USA and Europe over the past 20 years including Air Canada, the Dow Chemical advisory board, Celmed, Medicago, Holcim Canada and Black Rock Metals mining. He chaired the Quartier de la Santé, a not-for-profit organization promoting a major real estate development adjacent to the new Montreal University Hospital Centre in downtown Montreal. 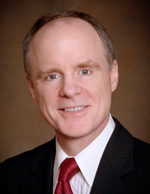 Robert McNeil, Ph.D., Sanderling Ventures, Director Robert McNeil has over thirty-five years of experience as an active investor and management participant in seed and early-stage biomedical companies. He founded Sanderling Ventures in 1979 and has served since then as a Managing Director of Sanderling’s seven investment partnerships. Dr. McNeil has been an active investor for over sixty early stage investments for Sanderling Ventures. In each case, close eelationships with management and careful understanding of the companies’ technologies have allowed successful development of products at very early stage. He has played an active role in these seed companies and has helped many to graduate to late stage status where they either were purchased or affected public offerings. Michael Dixon, CPA CA, Therillia Development Company Inc., CEO Michael Dixon has over 16 years of experience working in an executive role for venture-backed companies. Prior to his role in Therillia, Mr. Dixon was Chief Financial Officer of Gemin X Pharmaceuticals. At Gemin X he structured and negotiated equity financings leveraged with venture debt and other forms of non-dilutive capital to fund the company’s Canadian and US operations over an 11-year period. Gemin X was successfully sold to Cephalon (now Teva), at the time one of the largest private biotech deals in Canada. Prior to Gemin X, Mr. Dixon was Interim COO and Vice President Finance at Morphometrix Technologies, a medical device company specialized in the automation of cervical cancer screening. Mr Dixon began his career at Price Waterhouse with a focus on compliance services for entrepreneurial businesses, strategic financial modeling and management information systems. Mr. Dixon received his Bachelor of Commerce degree from the University of Toronto and his Chartered Accountant designation while at Price Waterhouse.